If you are looking for information on the The New Well franchise business opportunity, The New Well franchises or The New Well franchising, then you have come to the right place. could change the lives of 70 million women. Our outstanding program guarantees weight loss results. 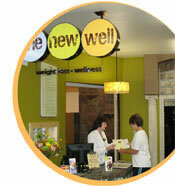 As a franchisee of the new well™, you'll have the proven solution to fill the unprecedented need for healthy living. Your client, regardless of whether their goal is to lose 10 pounds or 100, will experience a better lifestyle through our guaranteed program of weight loss, one-on-one counseling, exercise and relaxation. The new well program is different than other programs! It's based on a real nutrition plan using grocery store foods that is designed by registered dieticians, face-to-face accountability with Certified Wellness Consultants, easy and enjoyable exercise, and rejuvenating relaxation treatments. The program has already helped thousands of women meet their weight loss goals and live healthier, more balanced lives. "As an experienced multi-unit franchise operator for years, I recently entered the weight loss arena for its incredible potential. I chose the new well because of the top-rate support from the corporate staff and their proven success in corporately-owned centers." The special business of wellness. The new well franchise model is designed to support bottom-line, financial growth at each Weight Loss and Wellness Center through the marketing, promotion and delivery of quality weight loss services and retail products. The new well Centers are also environmentally-friendly, dedicated to people's health and our planet as well. Our partnership with one of the country's leading green architectural firms ensures that you can conveniently customize the build-out of your the new well Center to meet your commitment to the world we all share. "The new well is a concept whose time is right. Many women struggle with their weight and with their self-esteem. I chose to become an Area Developer for the new well because I believe in the concept of combining nutrition, exercise, relaxation, and spa services to make it more convenient for women. I want to be part of our clients' success stories as they change their lives through their journey with us." As a franchisee of the new well™, you'll be part of a meaningful, dynamic movement driven by a group of like-minded individuals, dedicated to people, planet and profit. Booming, high-growth market. More than 70 million women in the U.S. are currently living with issues from being overweight or obese. As the largest consumer decision-making force involved in 80% of the buying decisions in our country, women constitute the most dynamic buying power in the health and wellness industry. Affordable, simple business. Compared to many other retail businesses, the new well is less expensive, less complicated, has fewer employees, doesn't require a large retail space or prime higher-priced locations and has minimal inventory requiring little storage. Proven business model. Your Center's systems are modeled after our corporately owned Weight Loss and Wellness Centers, where you will receive your comprehensive training, store location assistance and ongoing support and marketing programs. Qualified individuals will receive operating results of our Centers as part of our Franchise Disclosure Document. Guaranteed weight loss program. In a market full of fads, scams and incomplete offerings, our proven combination of weight loss through whole foods, exercise and relaxation allows you to guarantee results for clients following the plan. High-ticket programs, services and retail products. 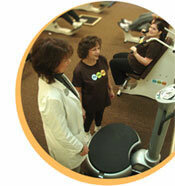 You will offer your clients weight loss and wellness programs and a variety of healthy supplements. In addition, you have the option to offer rejuvenating body treatments, facial treatments, skin care products, cosmetics and other unique wellness-centered products to help expand your income possibilities.